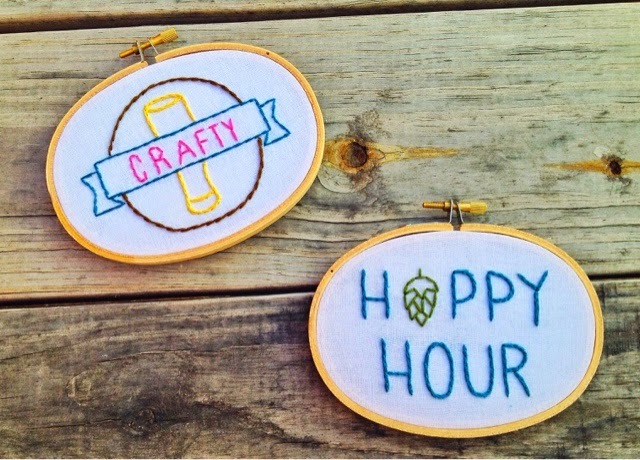 A few weeks ago I had the opportunity to go to the increasingly popular Eat Drink Stitch monthly happy hour. This fantastic event is hosted by the ever-so-warm and lovely Kristen Shuler from Hey Paul Studios. She is such a talented embroidery artist (check out her work!) 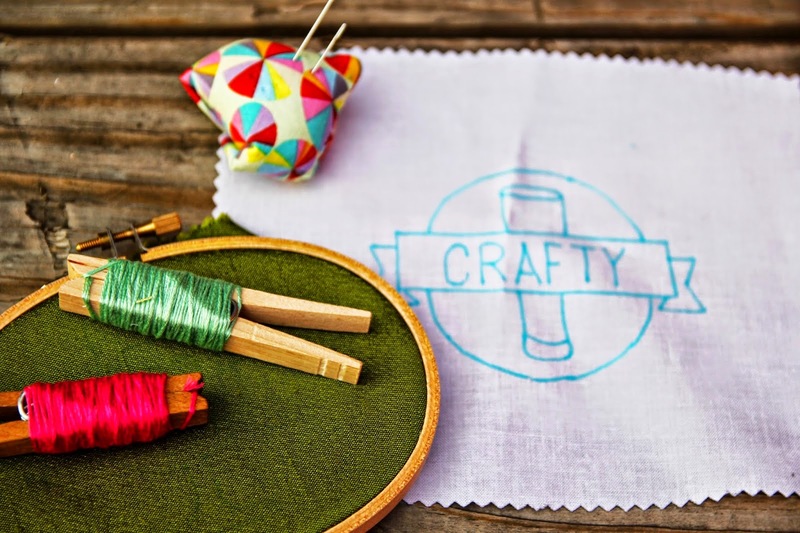 who had a dream of unifying crafters by inviting them out for a fun, mellow evening of stitching and sipping. Each month, the Eat Drink Stitch happy hour changes locations and features all new stitching designs, food, and drinks in a fun local setting. The inaugural event that was held at Westport Flea Market was a raging success, leaving the 2nd event at Big Rip Brewing Company to sell out in no time! As soon as Kristen extended the invite to me, I knew I had to call my crafty, fabulous friend Kari to join me. 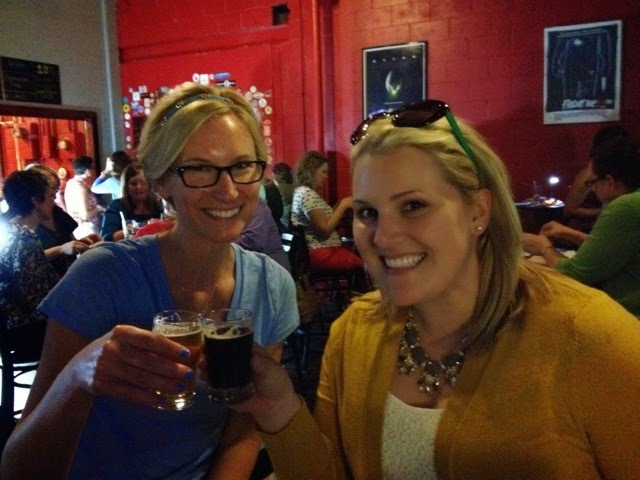 We drank delicious Big Rip brews (get the little tasters - it was fun to try several different kinds! ), purchased adorable stitch kits that Kristen put together, picked out a cute pattern, stopped by the complimentary thread bar to pick out colors, and went to town! All in all it was a great night. I made some new friends, had a ton of fun, and already can't wait to go to the next happy hour! Stay tuned - you can sign up to get on the notification list HERE. In case you would like to attend an Eat Drink Stitch event and can't make the happy hours, check out Hey Paul Embroidery 101 Workshop. This is part of the brand new Eat Drink Stitch coffee house series (I cannot wait - this is right up my alley!). 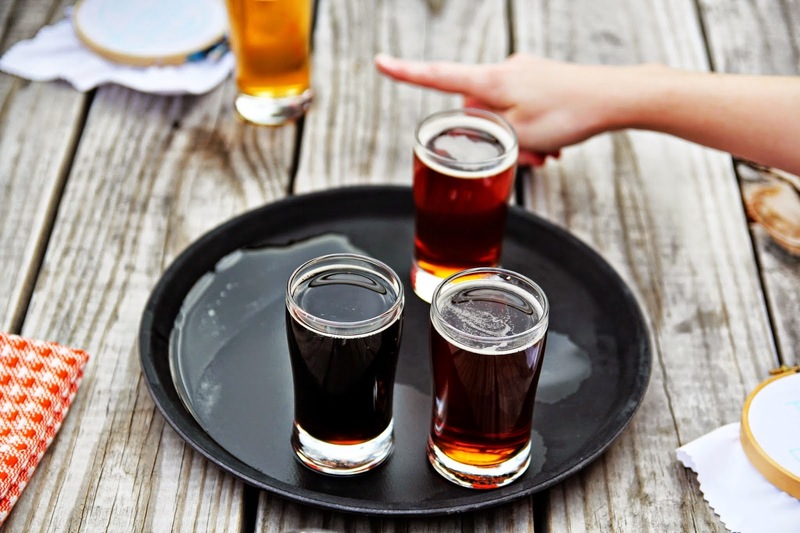 "This event is a bit different from the Hey Paul happy hours that you may have attended. While just as fun, this is a fully guided (and caffeinated) embroidery workshop for beginner level stitchers. During this 2 hour course, you will learn all about the basic tools of hand embroidery, three basic stitches, discuss pattern making techniques, and methods for mounting your work for display. You will also receive a subscription to my online newsletter that is packed full of tips, tricks, and tutorials. Coffee and delicious snacks are available for purchase during this workshop. Seating is extremely limited." If you are interested in attending, tickets can be purchased HERE. What a cute concept! Kind of like the wine and paint places! Very cool! Those stitch kits are SO CUTE!!!! AHH! Love them! Hi Meg! I'm Lindsey from Thrift and Shout blog. 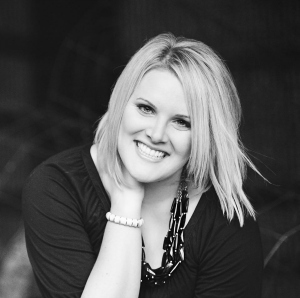 I just wanted to say Hi and that I love your blog! I'm linking up with you today for the first time. Thanks for hosting!